Chocolate Lava Cakes have become a holiday tradition. The rich chocolate, sweet berries and individual servings make for an elegant dessert. Molten lava cakes are perfect for Christmas, Valentine’s Day or even après-ski to take the chill off. I’ve made nearly a dozen different chocolate lava cakes AKA molten lava cake recipes. Some in sugar crusted ramekins, others in buttered and floured ramekins, but these from Pam Anderson were to be made in muffin tins filled with extra large paper cupcake liners. A novel procedure that works! The rationale was that it would ease the removal of these cakes from their baking vessel. I only made a half a batch (FYI, a half a beaten egg is approximately 1 1/2 tablespoon plus an 1/8 teaspoon) so I used 3/4 cup capacity ramekins instead of a tin. How would these compare to all the other versions of chocolate lava cakes??? What Exactly IS a Lava Cake? The original molten lava cakes were created by chef Jean-Georges Vongerichten. Made with a brownie like batter versus a typical cake batter, the insides remain liquid or lava-like, while the edges are cooked enough to hold in the molten center. 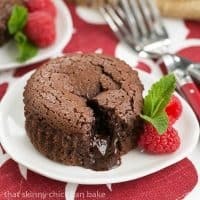 There are numerous variations from the classic chocolate version including my White Chocolate Lava Cakes as well as these Pumpkin Butterscotch Lava Cakes, Peanut Butter Cup Lava Cakes, and these gorgeous Raspberry Molten Lava Cakes. Heck, I’ve even made Chocolate Lava Cookies! 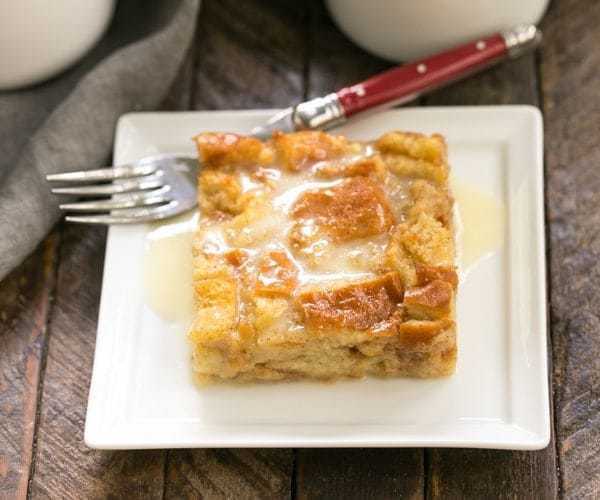 Whether you’ve returned from a run down the slopes or are just enduring the frigid temperatures at home, a warm, comforting dessert is just what the doctor ordered. Though my family loves these enough to indulge on a 90º summer day! Here are some tips for making the perfect molten lava cakes. These molten lava cakes can be prepped ahead of time and popped in the fridge. 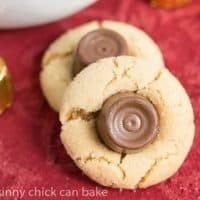 Just bring them back to room temperature before baking and in minutes you will have a chocolate lovers’ dream before you! The key to perfect chocolate lava cakes is timing. Bake too long and there’s no molten center. Too short and they will collapse. Both ends of the spectrum are still delectable, but watch for the perimeter to look firm and the center (less than the size of a quarter) to appear soft. This could take as little as 8 minutes or up to 12—all depending on the heat of your oven. Mine were perfect at 11 minutes. The rest of the recipe is easy. Melt the chocolate and butter, beat the eggs, sugar and vanilla, then combine the two into one luscious batter. Make sure you use the best quality ingredients for the most delicious results. Divide and pour batter into either muffin tins or ramekins. These should have paper liners which have been sprayed with non-stick cooking spray. I’ve made many other lava cake recipes without paper liners, just make sure to grease the ramekins well. I like lining the ramekins with a round of greased parchment to avoid any chance of sticking. Since the molten centers may not come up to 160º which will kill salmonella, you may want to use pasteurized eggs, especially when serving to children or the elderly. Make sure to let these cool a few minutes before inverting onto a serving plate. If the edges don’t have time to cool and firm up, the lava will ooze out before your fork can break it open. Once these babies were baked, I carefully removed the paper liners and transferred them to serving plates. I garnished these chocolate lava cakes with a sprig of mint and a few sweet raspberries. A dollop of whipped cream would be marvelous, too. You can reheat leftovers in the microwave, but note that some of the lava may cook and solidify. They’ll still be delish! And here were the thoughtful comments from my family—brace yourself. “They complement the beer well.” “Thems good eats.” “Better than Arby’s.” Did you know Arby’s is now serving molten lava cakes? Me, either! So if you don’t want to get carryout lava cakes from Arby’s, I recommend making these in a couple weeks for your Valentine or surprise your family any day of the year when they need to warm up from the inside out. 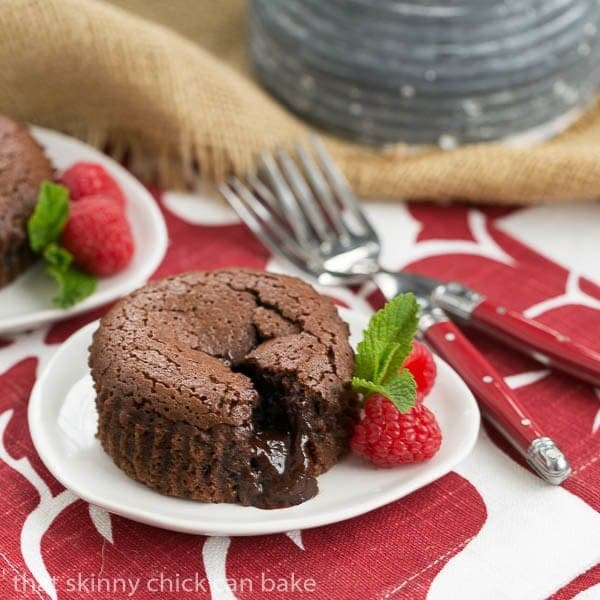 This Chocolate Lava Cakes recipe is a winner! Welcome to Progressive Eats, our virtual version of a progressive dinner party. This month’s theme is Weekend Ski Party and is hosted by Susan Pridmore who blogs at The Wimpy Vegetarian. Don’t consider yourself snowed in…consider it a party! Join Us for a Weekend Ski Party! 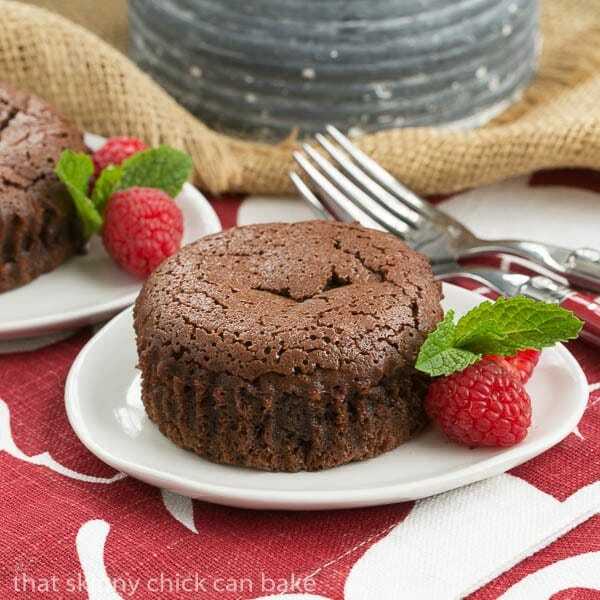 Classic Chocolate Lava Cakes—mini cakes with molten chocolate centers! Melt butter and chocolate in a medium heat-proof bowl over a saucepan of simmering water; remove from heat. Beat eggs, sugar and salt with a hand mixer in a medium bowl until sugar dissolves. Add vanilla. Beat egg mixture into chocolate until smooth. Beat in flour till just combined. Before serving dinner, adjust oven rack to middle position; heat oven to 450º. Line a standard-size muffin tin (1/2 cup capacity) with 8 extra-large muffin papers or use 3/4 cup capacity ramekins. Spray muffin papers with non-stick cooking spray. Divide batter among muffin cups. Bake until batter puffs but center is not set, 8 to 10 minutes. Carefully lift cakes from tin and set on a work surface. Pull papers away from cakes and transfer cakes to dessert plates. Serve with berries, mint and whipped cream if desired. These little cakes look so decadent and tempting! Love the combination of chocolate and raspberries so I’d be all over these. Lava cakes are always a favorite of mine. There’s nothing quite like sinking your fork into tender cake to reveal smooth, warm chocolate inside. Lovely! If there is a sight more beautiful than snow capped mountains, it is the sight of a well made chocolate Lava cake! Your cake looks fantastic, Liz. This is probably my all time favorite dessert. I wish I could have one every day. I don’t know how good that would be for my body but it would do my soul a whole lot of good. Better than Arby’s?! High praise–lol! These little guys are adorable, and perfect for warming up. What a great after-ski (or in my case, after sitting on the couch looking out the window watching other people ski) dessert! Chocolate lava is my favorite, especially with loads of chocolate on the inside. I’m drooling over this, Liz. There is something about a lava cake that I just cannot resist! We love getting lava cakes when we’re eating out, but I haven’t tried them at home yet. I really need to bake these soon. Perfect! What a great dessert for Valentine’s Day!!! Liz, this looks wonderful…and I love chocolate! 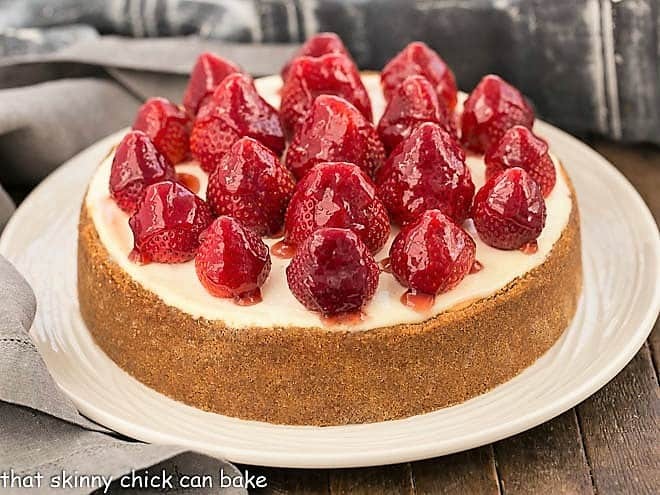 What a delicious dessert to treat your family with sweet love…thanks for sharing this recipe! Oh that molten center looks divine, love these cakes Liz! 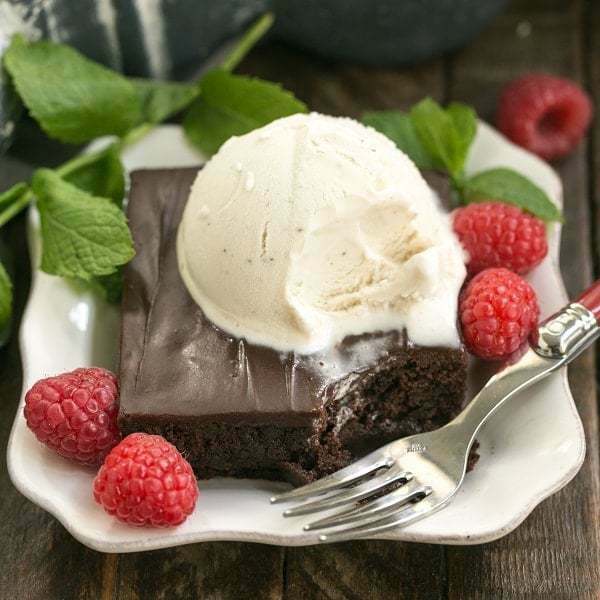 I remember the first time I had chocolate lava cake – it was such a treat! What a perfect dessert to end our Progressive dinner! You can never go wrong with a classic chocolate lava cake. 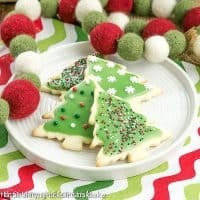 These look so delicious Liz! 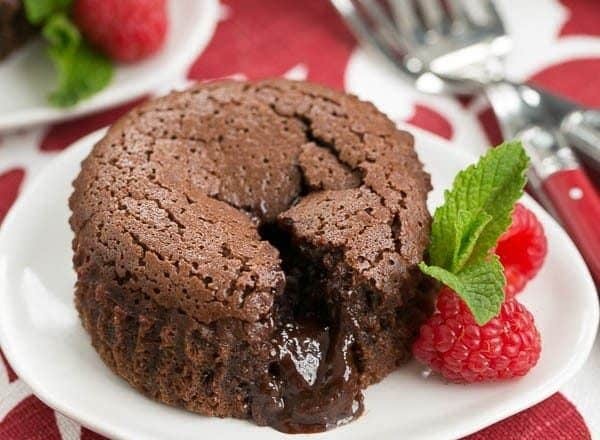 Chocolate lava cakes are one of my most favorite desserts ever! I can’t imagine an occasion for which they would not be a perfect ending. Yum! I looooooooove lava cakes! 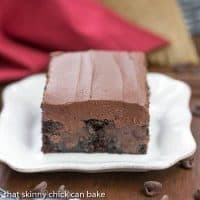 This one looks flawless-so chocolatey and rich and yum! Liz, don’t you just love Pam. No one handles meals for large crowds better and the idea to make these in paper cups is brilliant. Your cakes are stunning and I’m sure would be the world’s greatest Valentine’s Day treat. Thank you for creating the perfect ending for our progressive meal!! I make these fairy often. 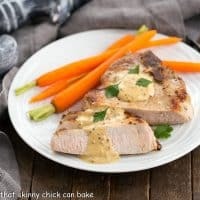 Not this recipe though! Everyone loves them and it is so nice to pop them in the oven after the dishes are done. Easy eating and easy clean up! Valentine’s Day is coming! Ahhhh, we were on the same lines yesterday. I was freezing and all floppy after yoga yesterday and starving and so squidgy warm chocolate cakes were the only thing to do that’s so quick and nourishing! Yours look totally tempting. Mine would have been better with raspberries though… and I heard it was National Chocolate Cake Day! Love how in the US you have celebrations all the time. Cheers, Liz! I love molten lava cakes! They always remind me of when I first started dating my husband. Yours looks perfect! Drooling over that gorgeous oozing chocolate! Lava cakes are on my list of must make baking recipes! They are so gorgeous with that hidden chocolate that just gushes out upon the first bite. I need to try lava cakes at home. My mouth is watering. P.S. We need to schedule a girls’ trip!!! i just made them! They are delicious! Just doubled the amount of chocolate and flour…Thank you very much! So glad they worked so well for you, Anastasia! Hope you have a terrific weekend! This is the perfect sweet treat for Valentine’s Day! That molten center is heavenly! Wow – I can’t think of a more beautiful sight than flowing chocolate from a decadent chocolate cake! It looks so fluffy – just gorgeous.